The foundations of breeding bull terriers began to take shape from the first years of the nineteenth century. During this period, both dog fighting and dog fighting with another, larger animal – a bull, a bear, were popular. 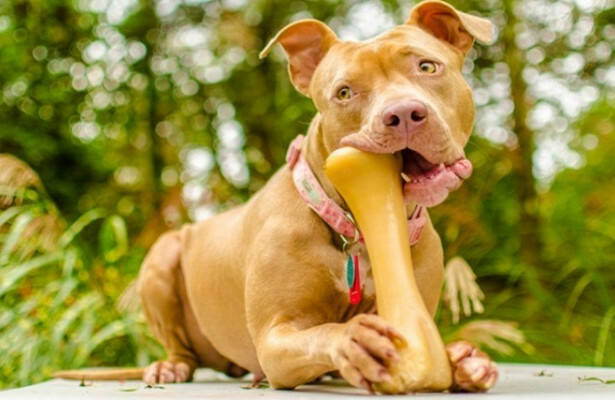 The most successful dogs for this bloody sport were obtained from the bulldogs and terrier breeding – the terrier stubbornness was added to the bulldog’s powerful jaws, passion and desire to fight regardless of the wounds and injuries received. In addition, the terriers are more agile and more agile than the heavy bulldogs, which added even more entertainment to the fights. In general, the dogs of those years were distinguished by a massive, squat (brick-like) head, a malicious, unfriendly look and a wide variety of colors, including white, renowned as “boules and terriers”. Over time, they began to see more clearly the features of terriers: the sharpness of the muzzle and high-leggedness. More and more preference is given to dogs of white color, as the most pedigree. Bred by the Englishman James Hinks, a trader from Birmingham, and demonstrated by him at the exhibition in 1862, the family of white dogs overshadowed all other colors. In addition to the mixes of a bulldog and a terrier, the Dalmatian’s blood also flowed to the boules-and-terriers that became the ancestors of the modern bull terrier, which made it possible to get more tall and high-legged dogs. 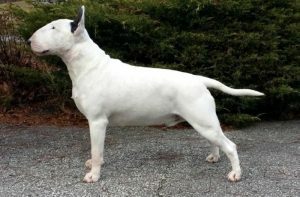 During the period of formation of the breed, quite strong disputes were fought around the color of the bull terrier. Some breeders believed that the purebred bull terrier could only be white in color, while their opponents were convinced that the presence of color dogs (red, brindle and other colors) would help the breed to get rid of a number of hereditary problems associated with white color. The controversy ended only in 1943, when the English Kennel Club singled out colored dogs as a separate species, but in spite of this ban on registering white dogs born from colored dogs, it was not withdrawn until 1950. 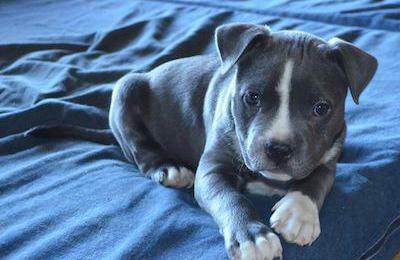 Currently, two separate breeds are registered – standard bull terrier and miniature bull terrier. Breeds have two identical standards, with a difference only in height – the height of a miniature bull terrier should not exceed 35.5 cm. As stated in the standard standard bull terrier standard, there is no limit in weight or height. But the dog should look as powerful as possible for its size. when matched to type and floor. ” Small bull terriers are known from the beginning of the 19th century, but they were not popular and were excluded from the Kennel Club breed registry in 1918. In 1938, Colonel Richard Glen with a group of enthusiasts led a campaign to revive medium-sized bull terriers, registering the Miniature Bull Terriers Club. The first representatives of the breed came to Russia in the 70s of the 20th century. However, until the 90s the breed did not have much popularity. 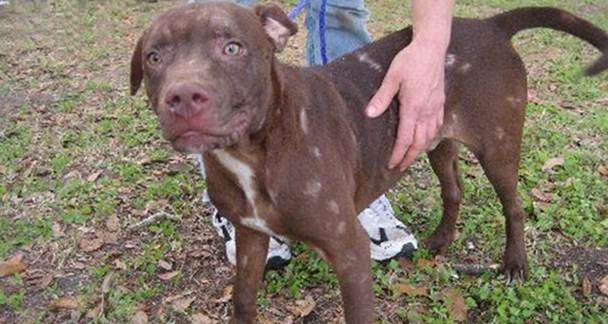 Raiden Flowers N Candy (New Zealand), brindle color. In color dogs, white color should not prevail over the main color, however there are always white markings and it is impossible to find a completely solid dog.
. In its pure form, the black color is not found in the breed, there are always insignificant tigers, usually in the field of the tan – paws, muzzle, chest. 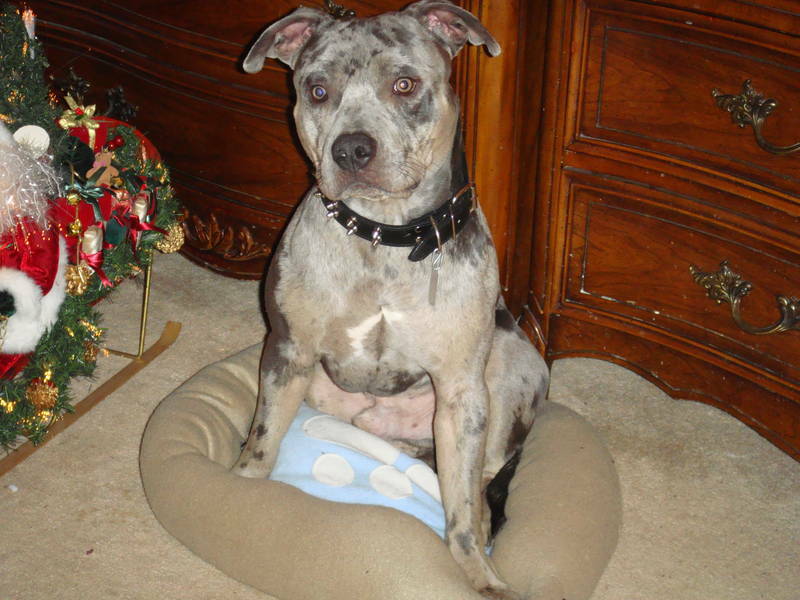 In contrast to the black-brindle color, tricolor dogs should be clearly visible. White dogs are allowed one or two color spots on the head – usually in the eye or ear. And a few miniature bull terriers, for comparison with standard dogs. 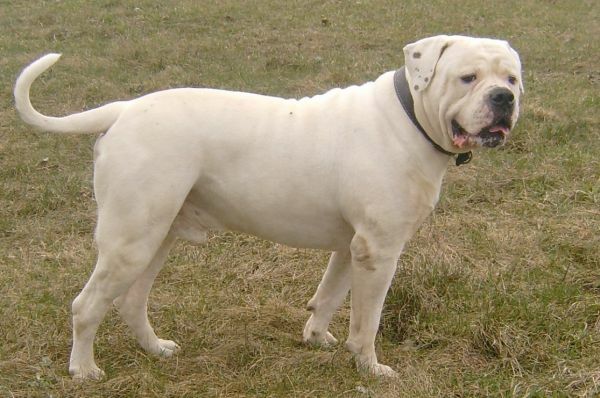 The smaller variety should not have any signs of dwarfism and should be completely similar to a large dog, with the exception of growth.